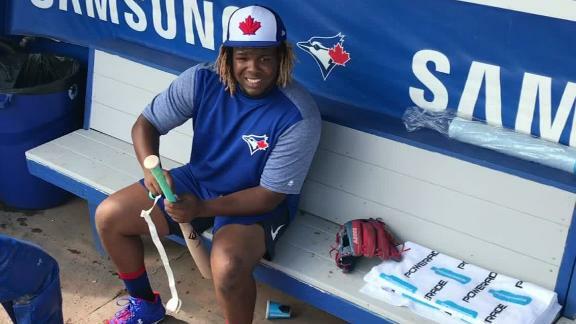 Vladimir Guerrero Jr. tells Marly Rivera in Spanish that he uses the same bat size as his father, 34 x 32. 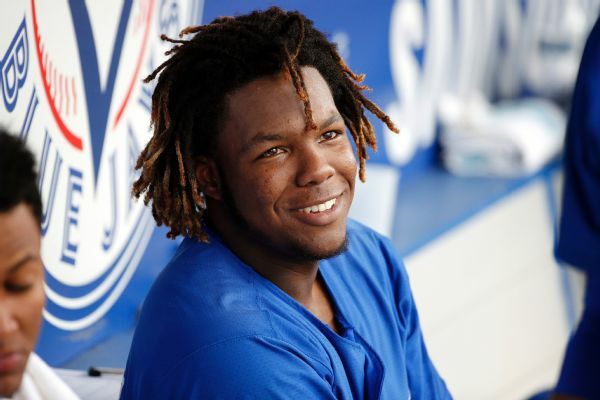 Vladimir Guerrero Jr. homered with two outs in the ninth inning to lift the Blue Jays to a spring training victory in the same Montreal stadium where his father played much of his Baseball Hall of Fame career. 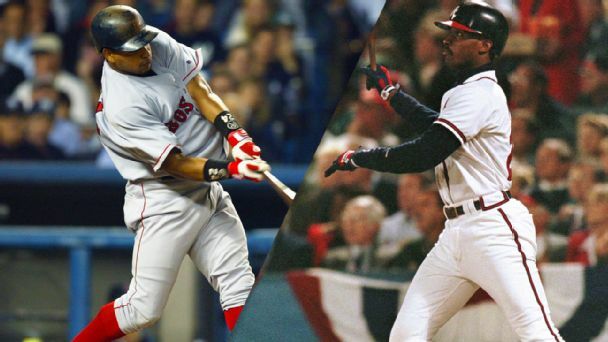 Vladimir Guerrero Jr. was born into baseball and raised by a future Hall of Famer. Now comes the hard part for the Blue Jays' No. 2 prospect: creating a legacy worthy of his name. 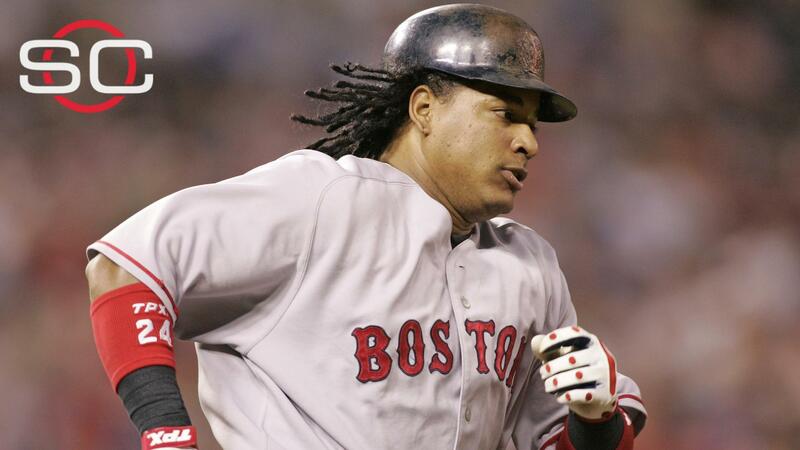 Can October glory put players over the Hall of Fame hump? From so-so regular-season stats to PEDs, building a Cooperstown case for borderline ballplayers can be tricky -- but playoff performance could be more of a factor than ever. Here's why. Do Vlad, Edgar and Moose really have Cooperstown cred? Was he ever the best player in the game? Was he even the best player on his own team? 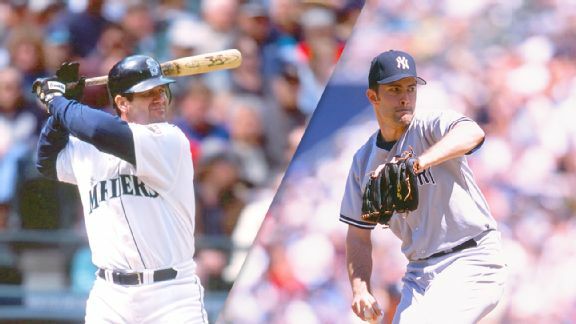 We ask 15 hard questions about Hall of Fame hopefuls Vladimir Guerrero, Edgar Martinez and Mike Mussina. While Vladimir Guerrero was always productive -- and entertaining -- with a bat in his hands, the value of what he did on the basepaths is less clear. 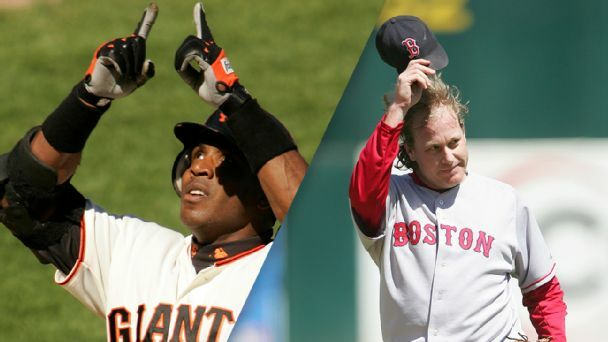 Buster Olney examines how the Baseball Hall of Fame's 10-player limit imposed on voters will impact a strong 2017 class. 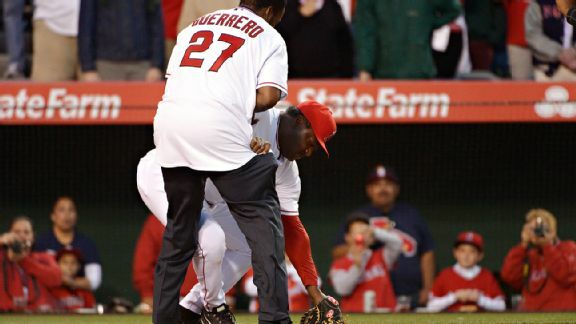 Los Angeles Angels hitting coach Don Baylor broke his right leg while catching Vladimir Guerrero's ceremonial first pitch Monday night. 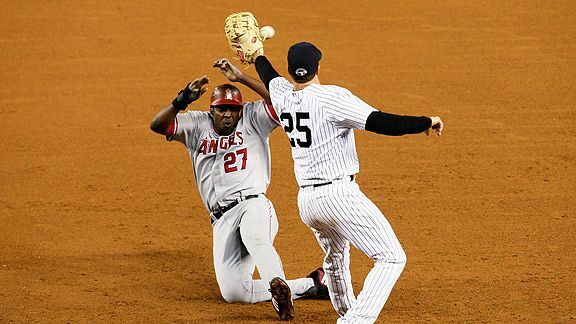 Former American League MVP Vladimir Guerrero is giving up on a return to baseball.